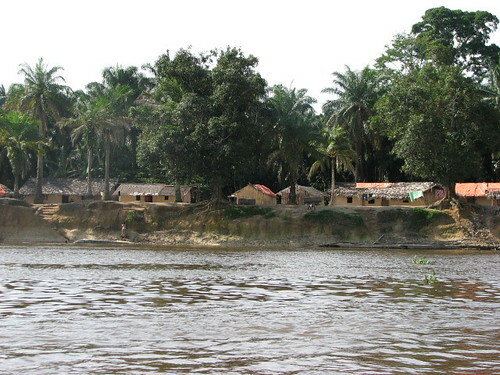 This village along the Lomami must look much as they did a century ago. The Belgians fought the Arabs from 1892 -1894 to end slavery in the Congo. They beat the Arabs. Did that end slavery in Congo? My American elementary school definition of slaves was “people who are bought and sold” to run plantations. The Arabs also used slaves to run their Congolese plantations, but they didn’t buy them. They were captives of war, a war driven by search for profit – ivory. Is there a difference between capture and “own” and buy and “own” people? Arab captives sometimes became important warriors or, like Ngongo Luteta, entirely freed (read his story in my previous post). Was it freedom that the great emancipator, King Leopold II, brought to the Congo? Or was it another kind of “slavery”. Was it the King of the Belgians that emptied the Lomami? The Lomami that Ashley saw from the prow of the dugout was vast and mainly empty of villages. That is the historical mystery I want to solve. Why did Ashley find so few people when he took the dug-out up the Lomami? 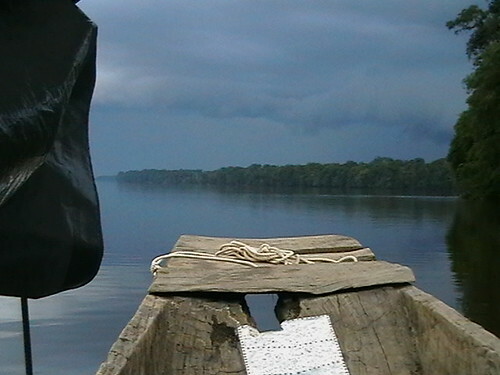 The Lomami was a main navigation route a century ago. What happened? The DR Congo today is, after all, a country of more than 60 million people in an area no bigger than the USA east of the Mississippi. 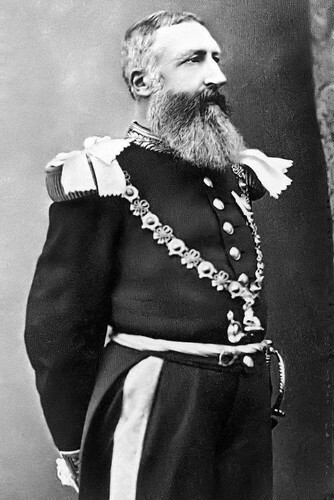 King Leopold II, not the country of Belgium, was the “owner” of the entire Congo Free State from 1885 until 1908. He had a personal challenge to “develop” the Congo but being unable to use the Belgian coffers, he had to make his colony profitable. This antislavery movement has its dark side also. The natives suffer. In stations in the charge of white men, government officers, one sees strings of poor emaciated old women, some of them mere skeletons, …carrying clay water-jars, tramping about in gangs with a rope round the neck, and connected by a rope one and a half yard apart. They are prisoners of war. And no surprise that the first international objections were not about slavery but about the lack of free trade. Europe had agreed to King Leopold’s Congo Free State on the condition that there would be no economic “monopoly” and no commercial “privilege” in the Congo Basin… But that is not what happened. The Congo State… has officially declared a monopoly of the products of the soil… either for itself exclusively or for certain Corporations… whose management it controls (appointing and dismissing Directors, & etc) and whose operations it assists by its Force Publique (private army). The Force Publique forced the population to produce wild rubber, copal, cotton, ivory. 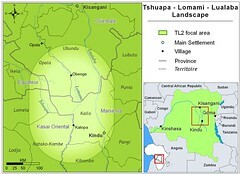 Congo State granted concessions to the Lomami Company in 1898 to 1912. 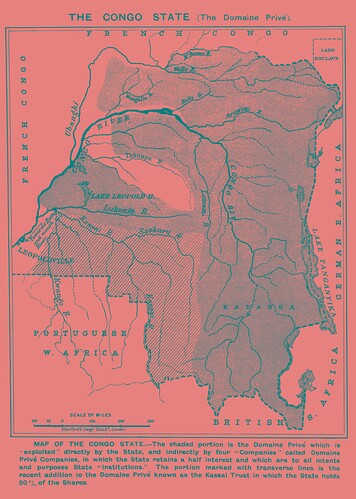 The company established ports all along the north part of the river in the land of the Mbole peoples. The Mbole gained little and maintain somber memories. Colonel Tom is Mbole as is the current Territorial Administrator from Opala. Ivory, rubber and copal were essential riches for King Leopold II and they were plentiful along the Lomami. 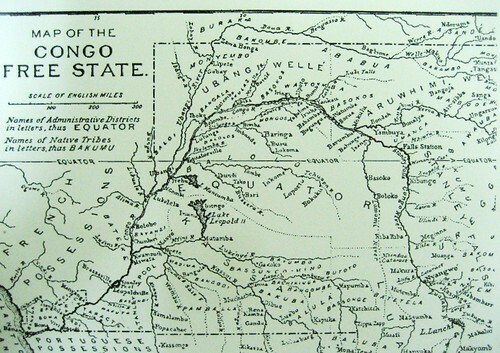 The Congo Free State used cruelty to force villages to make their quotas. Mutilations and murder were part of the repertoire of punishment. For just a few posts, this ‘search for the elusive bonobo’ has sent us on a skim through history to when bonobo were abundant but already the future of their forests was being forced to a new vision. So, let us change the vision. OK, “us” includes me, but “us” also includes my neighbors in Kinshasa, the diplomats of the free world, the prospectors from China, the students of the Great Ape Trust Academy in Des Moines, Iowa… “Us” has to be big to make a difference. Glave, E.J. 1897. Cruelty in the Congo Free State – report from December 1894. The Century. Hochschild, Adam. 1998. King Leopold’s Ghost: a Story of Greed, Terror, and Heroism in Colonial Africa. Houghton Mifflin Books. This entry was written by Terese Hart, posted on 2007-10-14 at 4:27 pm, filed under History of TL2. Bookmark the permalink. Follow any comments here with the RSS feed for this post. Post a comment or leave a trackback: Trackback URL. money was the driving power for this bloody history, money is also the key to destroy or save the environment. who destroyed almost all their own nature have the right to restrict poor people in rainforests to use their environment? Isn’t this another form of colonialism? Only if life animals and plants bring more value than dead ones or even gold,cobalt… then conservation can be successfull. In my opinion the oil industry must pay taxes to save vast stands of rainforests(against climate change)all over the world. With this money the inhabitants of the rainforests should be compensated for using their forests in a suistanable manner. The sad thing is that where there is a large area of forest resources and no protection…what happens in a country like DRCongo is usually some other kind of ripoff. Outside poachers, or outside miners…..
For too long DR Congo has been a no-win place for too much of the population.